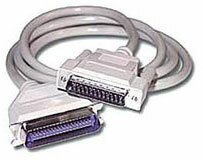 PCM-1100-06	 Parallel printer cable, Cable (6 feet, Parallel PC to Printer, DB-25 Male-Centronics 36 Male). Perfect for any printer application! The Citizen PCM-1100-06 is also known as Citizen America	CAB-PARPC6	or PCM110006	.